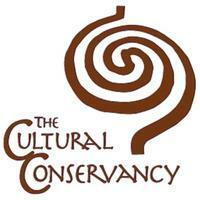 The Cultural Conservancy (TCC) originated in 1985 as The Sacred Land Foundation (SLF), an organization created to collect and disseminate information about sacred lands and to promote the protection of sacred sites. 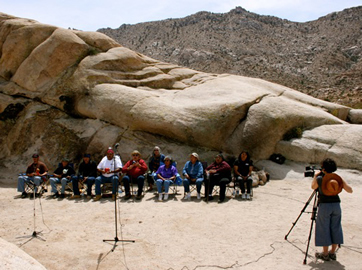 In 1992 the SLF became the Cultural Conservancy, to reflect the organization’s increasing efforts to form land trusts and help local native groups acquire land and property rights in order to protect traditional land-based cultures. A majority-native board was also elected, and Melissa Nelson (Turtle Mountain Chippewa) was brought on as the director. Melissa has a PhD in Cultural Ecology with an emphasis in Native American Studies from the University of CA Davis, and serves as a professor of American Indian Studies at San Francisco State University. Under the guidance of Melissa and the board, TCC has worked with tribes from across North and South America as well as the Pacific for the past two decades to: protect sacred sites from everything from ski resorts to telescope developments; present public forums on agriculture and native lands; and conduct media work on the preservation and revitalization of indigenous knowledge. (See here for a long list of their accomplishments). Up until the mid 2000’s, TCC’s focus had been mainly in rural areas in California and the southwest. But then the organization began to address the needs and struggles of the urban native communities. According to Melissa, “a lot of the urban communities and my native students were like, ‘what about us? We’re still native, even though we’ve been here 3 generations, since my grandparents came on relocation. We need access to healthy foods. 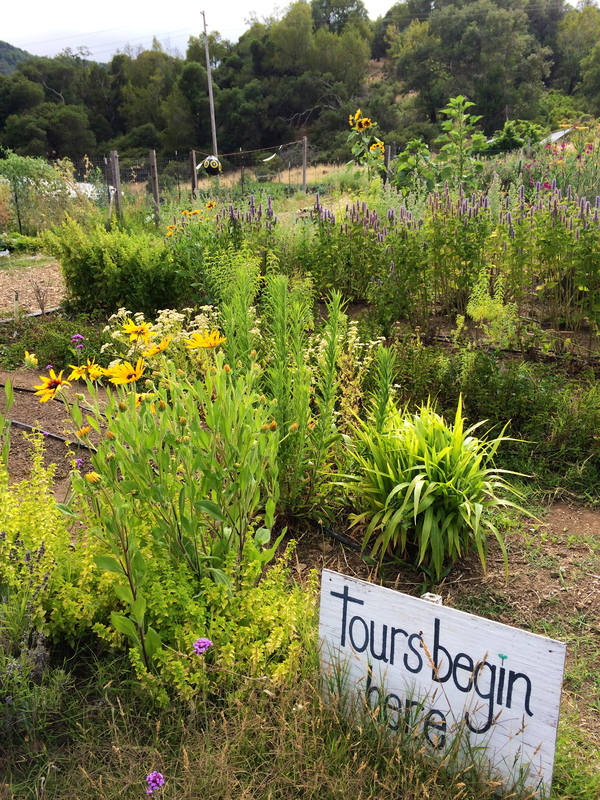 We need to grow our own foods.’” So in 2006 TCC developed a partnership with the American Indian Friendship House, and created an urban organic garden in the middle of the Fruitvale neighborhood of Oakland that focused on traditional foods, herbs, and medicines. Native American women in recovery and their children worked in the garden, and TCC hosted workshops on Native cooking, nutrition, gardening, and mental health. The garden thrived for a couple of years, and then during the recession when funding dried up, they lost the space. 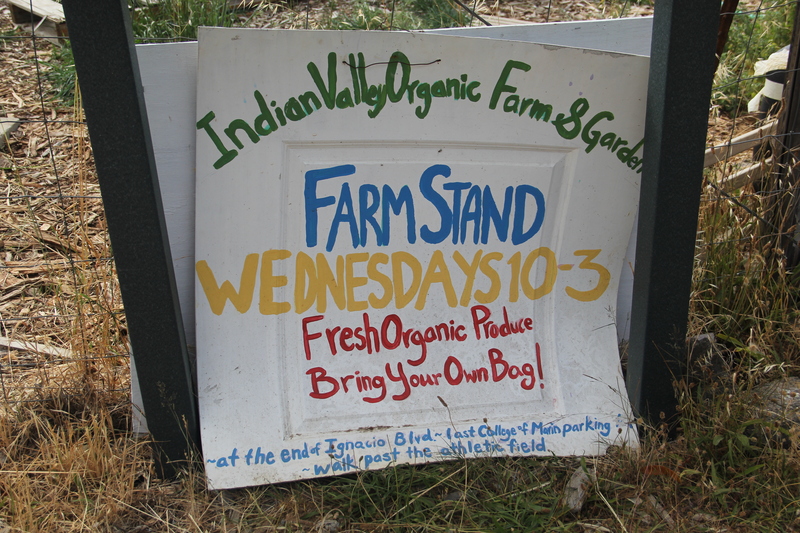 TCC now works in collaboration with the Indian Valley Organic Farm & Garden (IVOF&G) at the College of Marin Indian Valley Campus to grow Native foods, and to provide organic foods as well as education about nutrition and plants to the local Native community. The 5.8 acre farm was established in 2009 as a teaching farm for the College’s Environmental Landscaping and Organic Farming degree program. Three years ago IVOF&G invited TCC to partner with them, because they wanted to partner with the Native community to establish an ethnobotanical teaching garden. 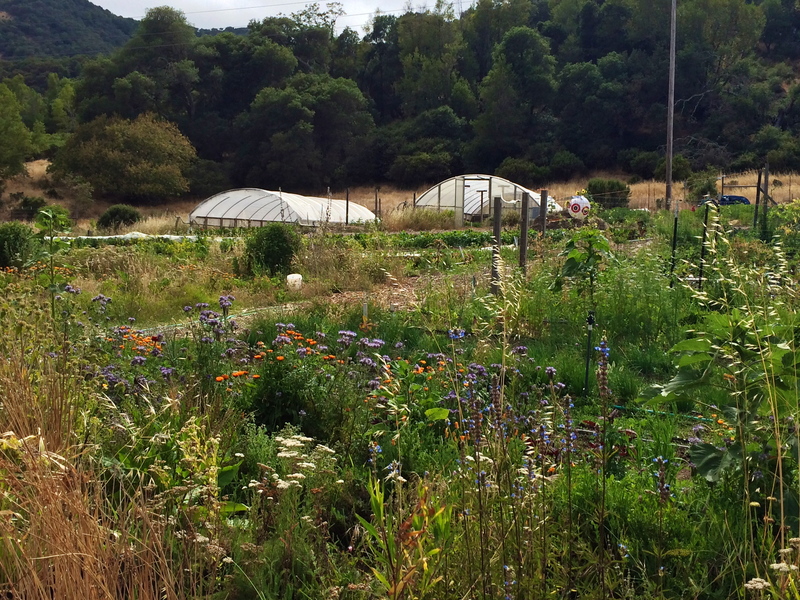 For the past year, TCC has been consulting with local Coastal Miwok, Southern Pomo and Wahpo tribes and elders about the potential layout of the one and a half acre garden, and which species to plant. 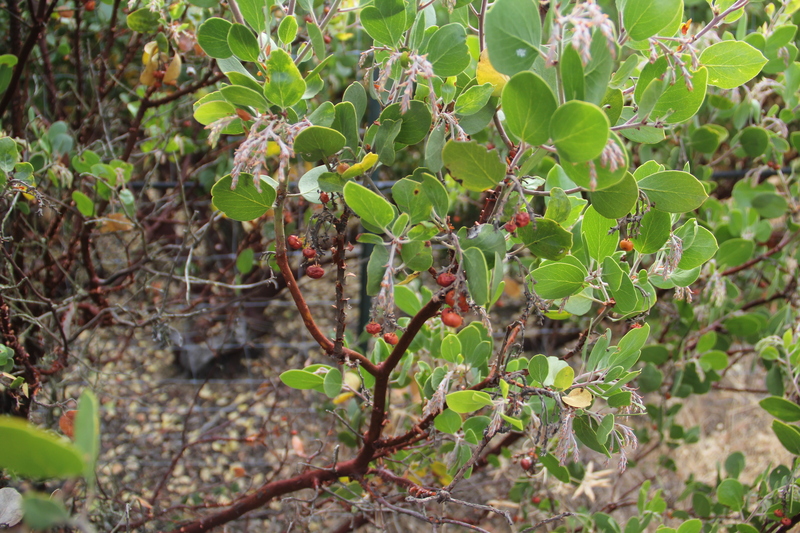 Plans for the garden include medicine plants, food plants, and those that are used for basketry. In addition they will be building social spaces and outdoor Tule structure classrooms into the garden. Many of the perennials are already growing in the Farm’s greenhouse, and will be planted this winter. 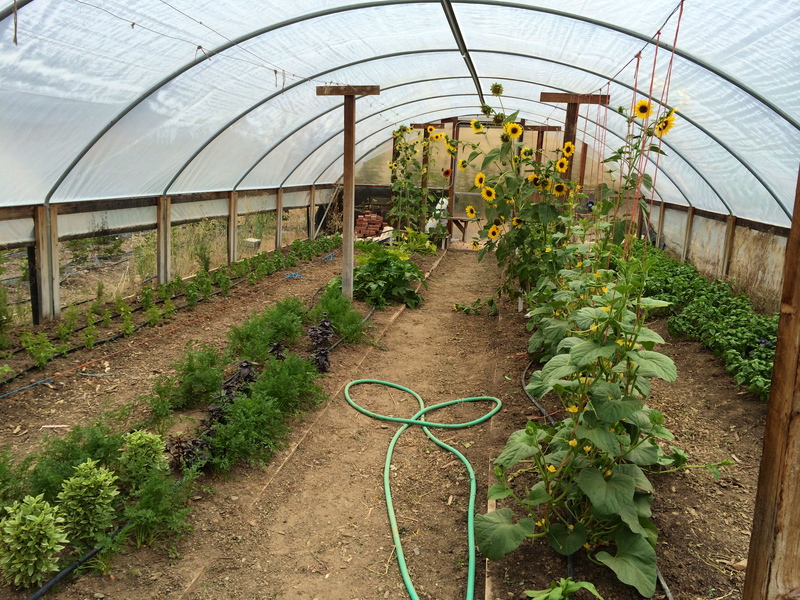 In the mean time, the IVOF&G gave TCC a bed in the main vegetable garden to grow Native food crops. 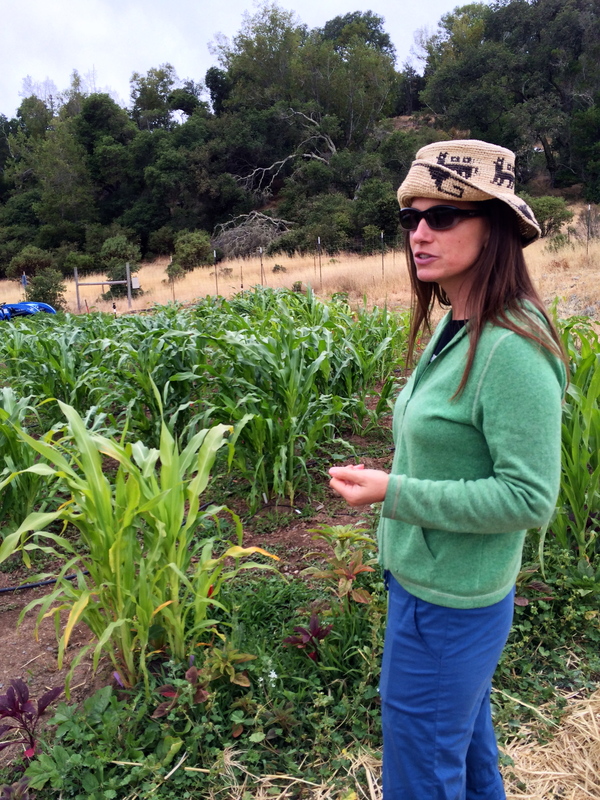 Melissa worked with Kaylena Bray (Seneca) the garden program and social media consultant for TCC, to establish a Three Sisters garden using Iroquois white corn. Kaylena’s parents, David and Wendy Bray Traveled to the farm to conduct a workshop and planting ceremony. In addition to the white corn, the garden also includes tepary beans, Taos blue hubbard squash, and Hopi blue dye sunflowers, seeds that TCC got from TOCA and Native Seeds/SEARCH in Arizona. This three sisters garden also includes a fourth sister—amaranth. 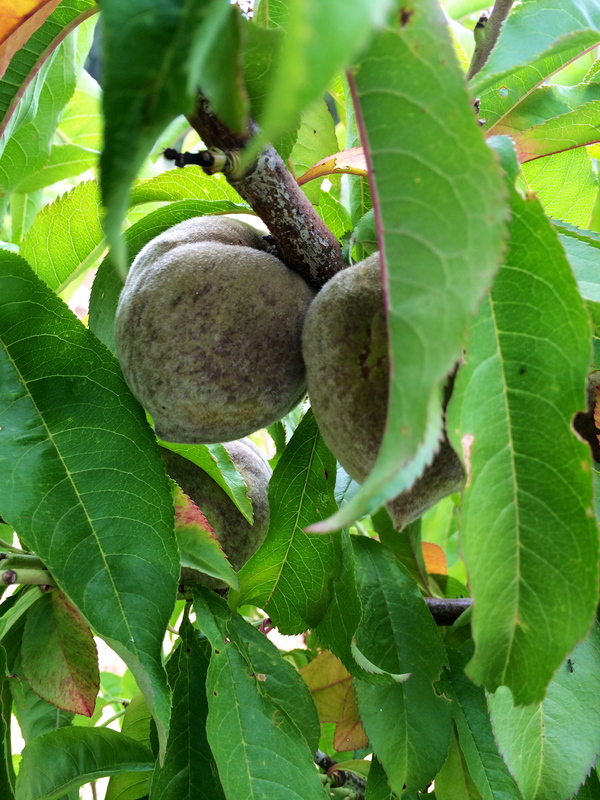 This will be featured even more prominently in the plot of Andean crops that they are working on establishing. 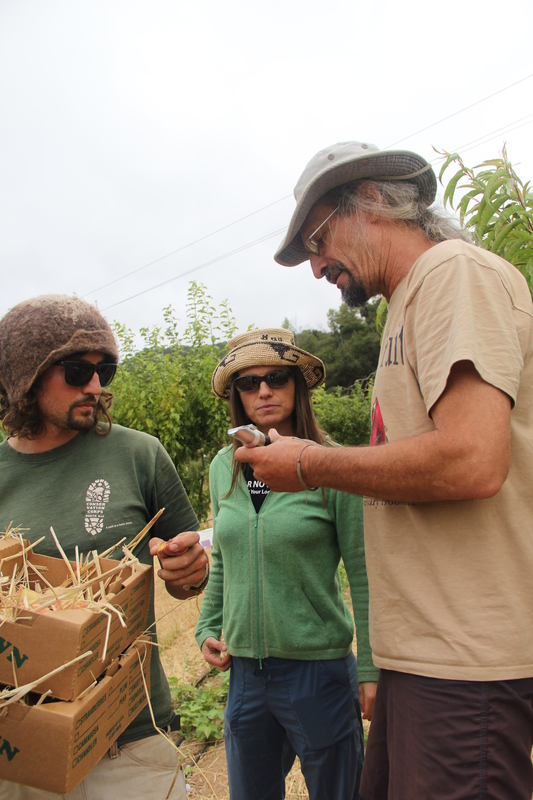 Working with rare and indigenous seeds is important to TCC, and they’ve been focusing some of their planting on the Slow Food Ark of Taste, which is like an endangered species list of rare native food varieties in North America. TCC has set up a seed bank in a warehouse adjacent to the farm, and is looking forward to providing opportunities for people to cultivate and share these native seeds. 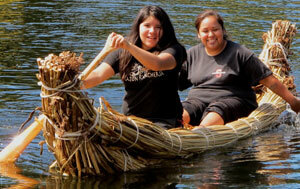 The preservation of Native seeds and food ways has become a central focus of TCC work. Melissa has become involved in the issue on a policy level, delivering speeches at the international Terra Madre gathering, meeting with policy makers, creating manifestos and statements to protect native foods, all in an effort to protect them on a local, national, and international level. 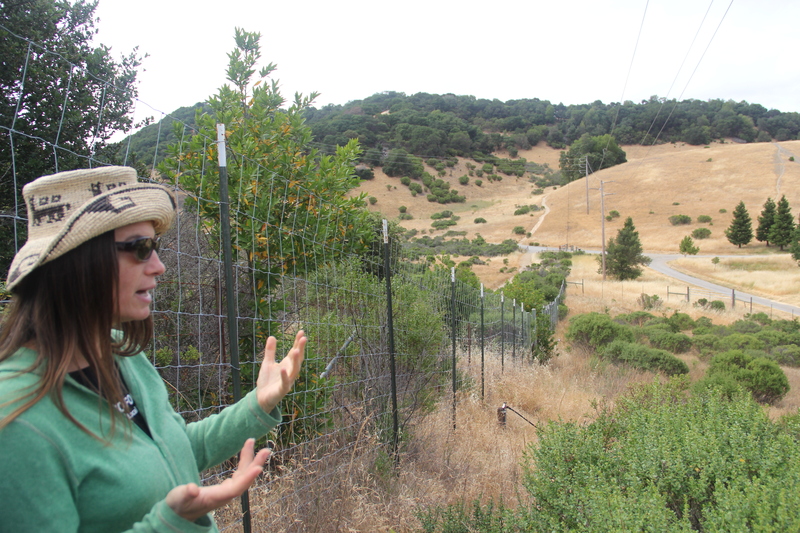 This fall Melissa is teaching a native science course at San Francisco State University, and her students will be spending a lot of time at the farm. They will also be conducting research projects around CSA’s, urban Indian health and food access, and food deserts. The Cultural Conservancy also received funding for a pilot project that purchases Community Service Learning (CSA) boxes from the farm, which are then distributed to urban Natives. Boxes are delivered to the American Indian Child Resource Center (AICRC) in Oakland, and to the Elder’s Luncheon and Community Dinner at the Intertribal Friendship House, also in Oakland, as well as a few families in the area. TCC is also in discussions with two Native American health centers in San Francisco that are also very interested in incorporating these CSA boxes into their health and nutrition and diabetes prevention programs. This is currently a pilot project, but TCC is prepared to go back to their funders to tell them what a success it has been, and since they can’t keep up with the demand, they need to be able to supply more boxes to Indian agencies, health centers, and families. In addition, they would like to incorporate more Native food products, even ones traded for or purchased such as blue corn flour from New Mexico Pueblos and Tanka bars from the Lakota-run Tanka Bar company. Two interns, former SF State students Trevor Ware and Michelle Honey help prepare boxes. Trevor is Caddo/Kiowa/Lenape/Shawnee from OK. The Caddo tribe has 300 acres of agricultural land that is currently not being utilized, so Trevor’s goal is to obtain a practical education in organic farming at the IVOF&G, and foodways revitalization from TCC, and then bring this knowledge back to his home to work that land. In addition to the work that TCC conducts directly with local Native communities, they have established The Mino-Niibi Fund for Indigenous Cultures. Mino-Niibi means “good water” in Ojibway. 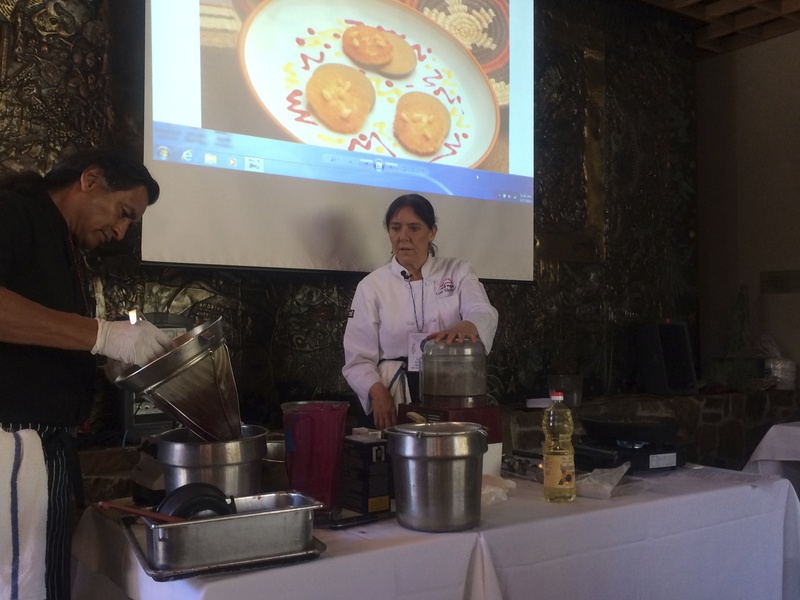 The fund provides small $5000-$10,000 grants to indigenous led organizations in the Americas and the Pacific that are focusing on food sovereignty and health, ecocultural health, water and sacred sites, and on regenerative livelihoods. 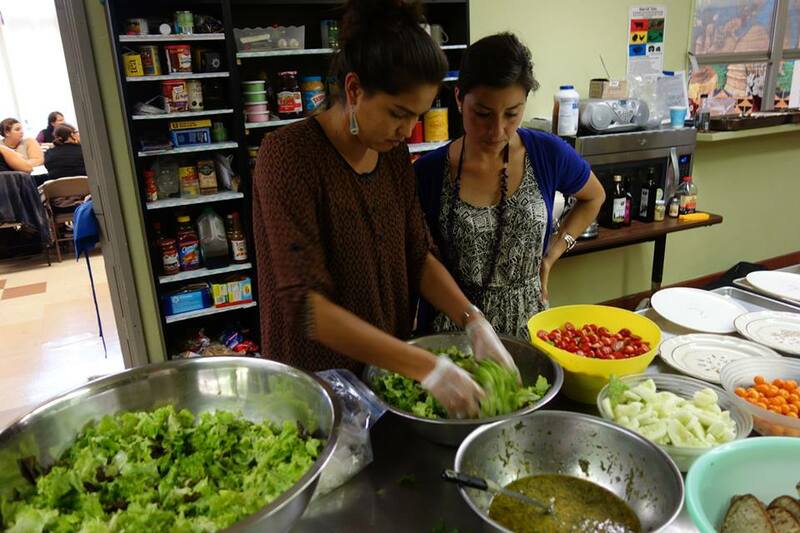 They are currently partnered with indigenous communities from Canada, Paraguay, Guam, and New Zealand, preserving language and traditional food varieties, and supporting artists. TCC has also been working on the Guardians of the Waters Canoe Project, which focuses on renewing indigenous watercraft traditions in the Pacific. Hands on workshops focus on constructing canoes and paddles, and highlight the importance of physical activity for health.